For the past five years, MoDOT’s construction program has averaged $1.25 billion each year. For the next five years, it will be $500 million per year, an annual reduction of 60 percent. 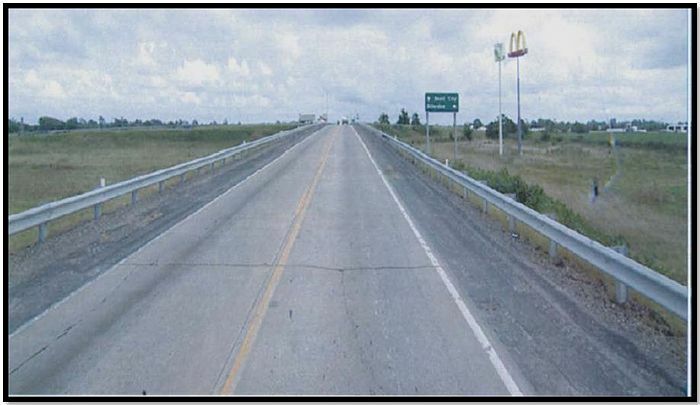 The department must find effective ways to maintain Missouri’s road and bridges. MoDOT is implementing a significant change in direction to implement cost savings strategies and reduce MoDOT staff with no layoffs, while maintaining the condition of our major roads, improving the condition of our minor roads, while sustaining exceptional customer satisfaction. In 2009, customer satisfaction ratings show 83 percent of customers are satisfied with MoDOT’s performance and 92 percent trust MoDOT to keep its commitments. Under the direction of the Five-Year Direction, the department will keep major roads in good condition, improve minor roads and hold existing conditions on bridges. MoDOT also has to continue to deliver the construction projects promised in the Statewide Transportation Improvement Plan (STIP). In order to achieve the direction, MoDOT must focus on creating and implementing strategies to make internal operations more efficient and redirecting more resources into achieving the Five-Year Direction. EPG 144.5 Pavement Maintenance presents the very latest information, but this pdf file may be helpful for those wanting to easily print Pavement Maintenance info as it existed in 2010. For operations divisions, MoDOT has established a clear direction in the five largest areas of work and expenditures including snow removal, striping, signing, mowing and pavement maintenance. All redirected resources from these operational efficiencies will be used to achieve the Five-Year Direction. Additional information on MoDOT’s Five-Year Direction is available. 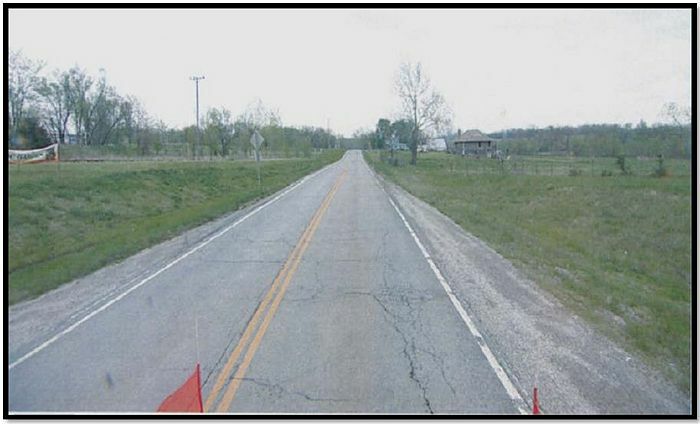 Upon the Missouri Highways and Transportation Commission’s approval of the Five-year Direction, MoDOT became focused on preserving the existing system assets. 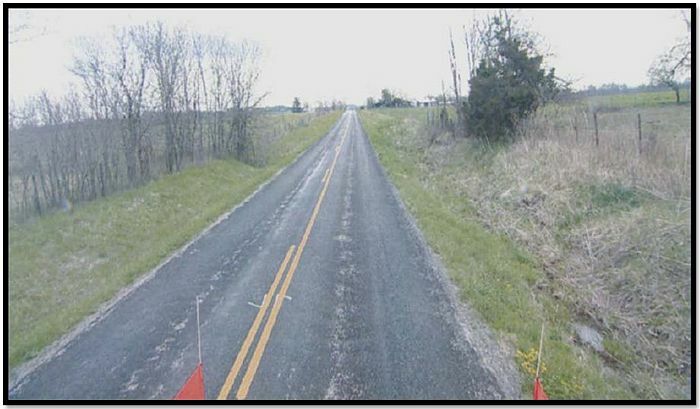 Throughout MoDOT, more practical operations and cost saving measures are being implemented, including the operational areas of signing, striping, mowing and vegetation control, winter operations and litter control as well as reductions in personnel, fleet and other expenditures. The savings from each of these areas will be redirected to achieving the Five-Year Direction. A review of pavement maintenance activities identified opportunities to reduce cost and improve productivity. A key component of the direction will be to develop and implement five-year pavement plans that will be supplemented with internal MoDOT resources that are redirected to keep 85 percent of major roads in good condition, improve minor road condition and hold steady on bridge conditions. Preventive maintenance and keeping good roads in good condition as long as possible will be the key to success. Key issues and changes are summarized below. In order to encourage the most practical approach to pavement maintenance operations, the following changes were made to pavement maintenance policies. Each of the policy changes are effective January 1, 2011 and are available in their entirety at EPG 400 Flexible Pavement. MoDOT will use a centerline-out, traffic-volume-down philosophy when planning STIP and operating budgets. 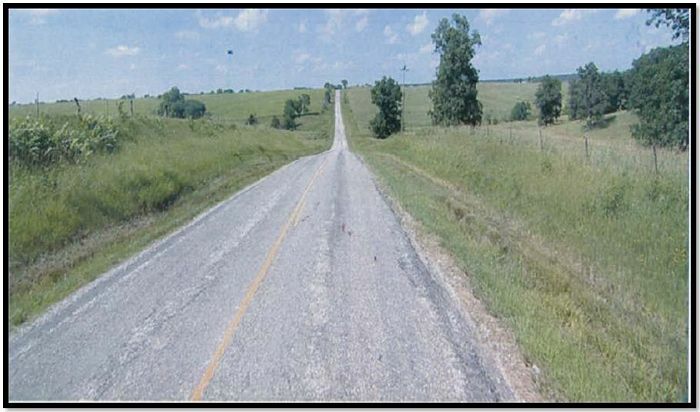 Simply stated, MoDOT will dedicate the resources needed to achieve the department’s pavement goals and the resources needed to sustain it as the first priority in the STIP and budget process. MoDOT’s maintenance forces will focus on quality work that looks and rides good when completed. Contractors and MoDOT maintenance forces will use the same quality standards. All roads will be maintained to be free from large ruts and potholes. • If IRI > 140 and PASER rating is 5 or greater, then pavement condition is good. • If IRI > 170, pavement condition cannot be rated as good, no matter the PASER rating. Use the pavement management tool to record five-year pavement plan for each district. A minimum of three years of operating budget projects should be included. It is permissible to use hot mix rather than cold mix as long as both the cost effectiveness of the treatment and the long-term maintenance implications of the project are examined prior to the selection of the material. Use a larger aggregate cold mix to build structure on roads that habitually are problems. It is not required to fly coat new limestone chip seals on minor roads < 400 ADT. 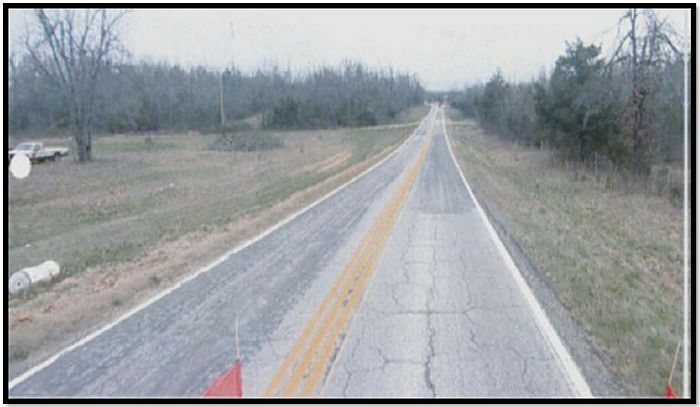 Contracted chip seals are allowed on low-volume (< 2,500 ADT) major roads (no limestone on majors). 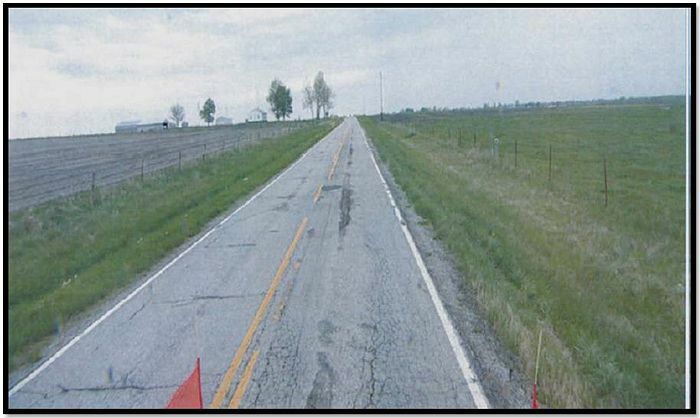 MoDOT forces are allowed to complete fine aggregate chip seals on low-volume (< 2,500 ADT) major roads. Use professional looking joint and crack sealing as part of the pavement preservation strategy. Use the Pavement Selection Matrix based on ADT and type of road (major/minor) for available treatment strategies. Strategies for the next five years primarily should be short- to medium-term treatments that have high productivity and low cost. Focus on quality and productivity. Share expensive, high-production equipment such as chippers, rotomills, distributors and motor graders. Work as teams between areas and districts to ensure high productivity and quality work. 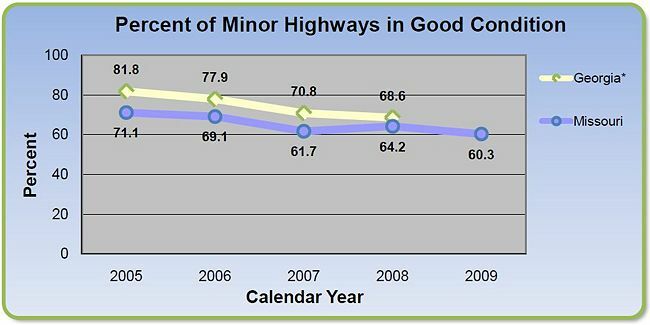 Percent of roadways (major/minors) in good condition. Dollars invested in pavement maintenance per lane mile (STIP and Operating Budget). 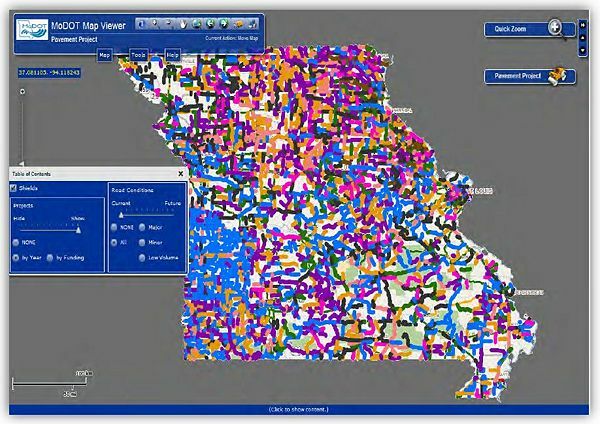 In mid-2010, Transportation Planning Division developed a tool to track, analyze and update pavement condition on Missouri routes. 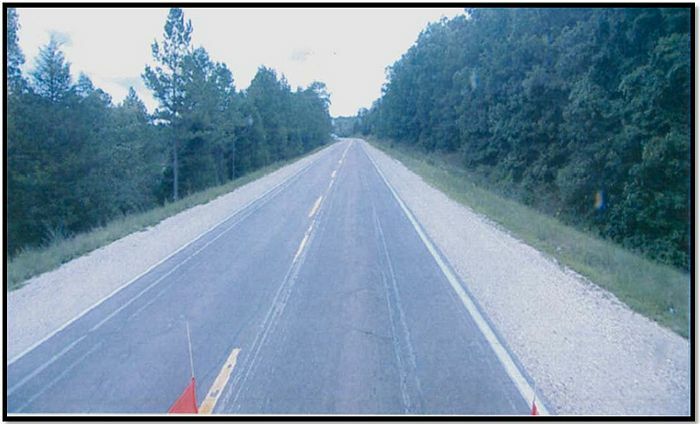 The application will predict the future condition of roads in the state using current condition ratings, pavement deterioration rates and the life expectancy of pavement treatments. The Pavement Tool provides managers with current condition information and ARAN video to help identify critical routes, and assist in establishing the most efficient five year pavement plan possible. The pavement management tool records five years of pavement plan for each district with a minimum of three years of operating budget projects included. In order to ensure the highest quality in MoDOT’s pavement maintenance operations, it is essential to outline the roles of each individual involved in the process. Each individual plays an important role in effectively and efficiently providing quality roads for our customers. 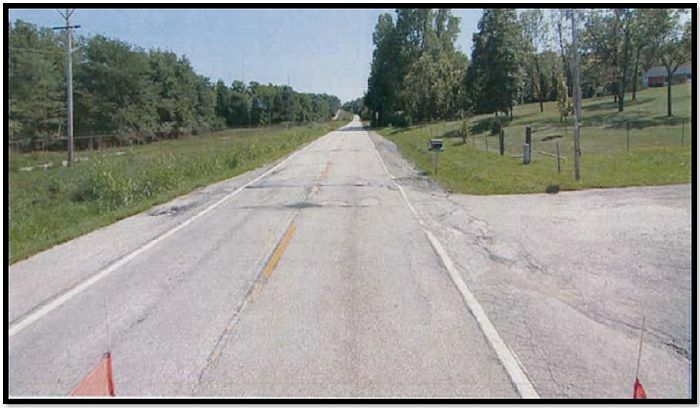 It is vital to explain the purpose of MoDOT’s pavement maintenance plan and the importance of applying the right treatment to the right road at the right time. The following titles and responsibilities provide not only details of the processes each title is involved, but also details the levels of accountability to ensure the most cost effective and procedurally efficient actions are being pursued at all times. Performing duties safely and efficiently are the most important roles of the employee. This group includes all full-time maintenance employees, employees from other divisions and seasonal employees. 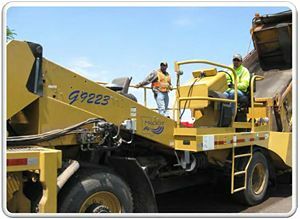 These employees have been trained and are qualified to perform pavement maintenance operations. There will be an identified leader for each part (traffic control, rolling operations, truck operations, etc.) of the project. The supervisor, or designated supervising employee, is responsible for the personnel, equipment and materials assigned to his or her area. Performing quality assurance reviews of roads under their supervision. These employees communicate directly with the district customer service representatives. The MS coordinates activities among the maintenance buildings under his or her supervision. The MS is tasked with keeping his or her immediate supervisor informed of pavement maintenance activities. The MS ensures supervisors are communicating directly with district customer service representatives. Operationally, the MS ensures consistency among buildings within his or her area, coordinates equipment needs and repairs with General Services, and performs quality assurance reviews within the area or district. The Office Superintendent may coordinate operations within the district, with other districts, and Central Office. The MS ensures the optimization of personnel, equipment and materials. The MS is responsible for addressing public concerns. The MS ensures the use of quality materials. 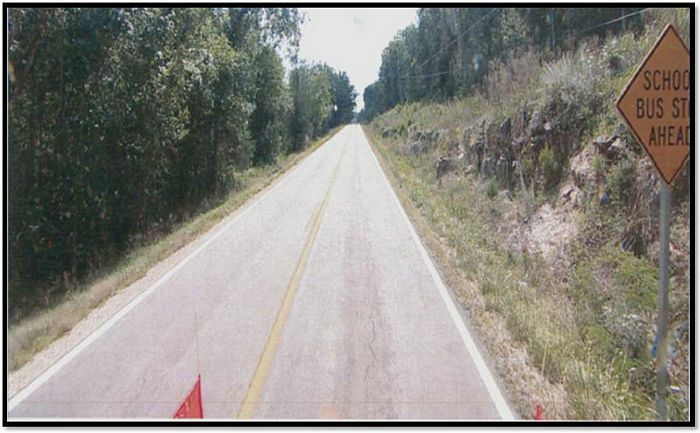 The District Pavement Specialist establishes pavement plans with the assistance of the District Maintenance Engineer and other district personnel to ensure that the right treatment is applied to the right road based on budgets, current pavement condition and goals of MoDOT. The District Pavement Specialist assists in the creation of the pavement maintenance program with the Office Superintendent by identifying specific routes and products, assists with pre-planning meetings, quality assurance, equipment calibration and material usage rates and evaluates the performance of pavement treatments used on projects in the district. The District Pavement Specialist continuously analyzes the pavement tool and ensure the accuracy of all data entered through communication with the Area Engineers and/or MSs. The District Pavement Specialist enters and/or updates STIP projects. Communication with design personnel is paramount to knowing what treatment the road is to receive. The District Pavement Specialist makes recommendations for effective pavement treatments, and for problems involving pavement treatments. The District Pavement Specialist ensures the use of quality materials. The Area Engineer or Corridor Engineer coordinates equipment and personnel among superintendents in his or her area. Operationally, the AE/CE will perform quality assurance reviews for their areas, and ensures compliance with MoDOT policies and procedures, as well as consistency between areas. The AE/CE is responsible for addressing public concerns. The District Maintenance Engineer or District Maintenance & Traffic Engineer will ensure consistency in district pavement maintenance operations. The DME/DMTE is responsible for ensuring all employees are appropriately trained. The DME/DMTE will communicate with other districts and the Central Office, and is responsible for responding to public concerns. The DME/DMTE reports pavement maintenance activities to district management. Operationally, the DME/DMTE ensures district equipment and material needs are met and ensures quality assurance reviews are performed in the district. The DE and/or ADE address public concerns. The DE is responsible for overall pavement maintenance operations in the district. 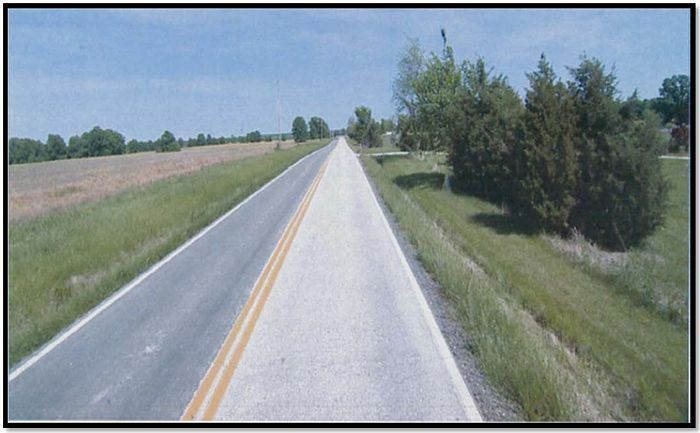 The DE will designate someone within the district as a pavement specialist to lead the development of the planning effort and to ensure the quality completed work. Ensures consistency of statewide pavement maintenance operations. Leads the statewide quality assurance and best practices team. Assists in the development of the pavement management plan, as needed. 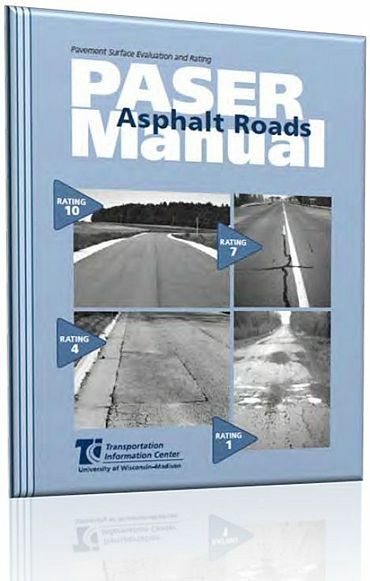 In the late 1980s, the Transportation Information Center at the University of Wisconsin – Madison developed a Pavement Surface Evaluation and Rating (PASER) Manual. PASER uses visual inspection to evaluate pavement surface conditions. The key to a useful evaluation is identifying different types of pavement distress and linking them to a cause. Understanding the cause for current conditions is extremely important in selecting an appropriate maintenance or rehabilitation technique. • Rutting, distortion – rippling and shoving, settling, frost heave. • Transverse, reflection, slippage, longitudinal, block, and alligator cracks. Deterioration has two general causes: environmental due to weathering and aging, and structural caused by repeated traffic loadings. 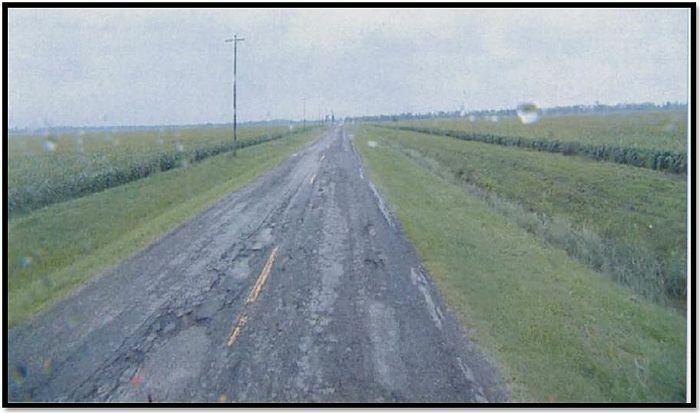 Most pavement deterioration results from both environmental and structural causes. However, it is important to try to distinguish between the two in order to select the most effective rehabilitation techniques. 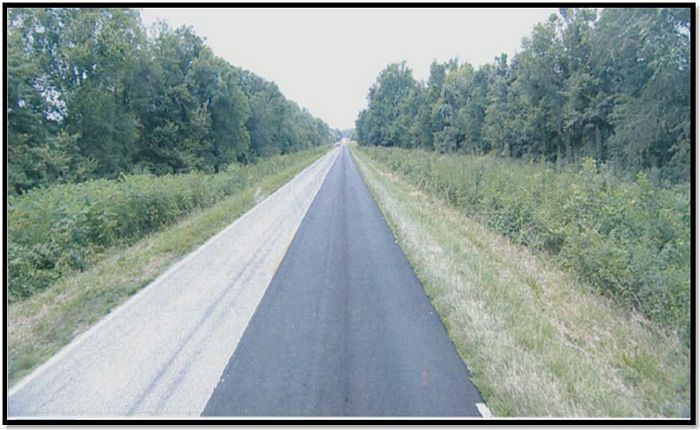 The rate at which pavement deteriorates depends on its environment, traffic loading conditions, original construction quality, and interim maintenance procedures. Poor quality materials or poor construction procedures can significantly reduce the life of a pavement. As a result, two pavements constructed at the same time may have significantly different lives, or certain portions of a pavement may deteriorate more rapidly than others. On the other hand, timely and effective maintenance can extend a pavement’s life. Crack sealing and seal coating can reduce the effect of moisture in aging of asphalt pavement. With all of these variables it is easy to see why pavements deteriorate at various rates and why we find them in various states of disrepair. Recognizing defects and understanding their causes helps us rate pavement condition and select cost-effective repairs. Excellent None Recent overlay. Like new. Very Good No longitudinal cracks except reflection of paving joints. Occasional transverse cracks, widely spaced (40' or greater). All cracks sealed or light (open less than 1/4"). Recent sealcoat or new cold mix. Little or no maintenance required. Good Very slight or no raveling, surface shows some traffic wear. Longitudinal cracks (open 1/4") due to reflection or paving joints. Transverse cracks (open 1/4") spaced 10' or more apart, little or slight crack raveling. No patching or very few patches in excellent condition. First signs of aging. Maintain with routine crack filling. Good Slight raveling (loss of fines) and traffic wear. Longitudinal cracks (open 1/4" - 1/2"), some spaced less than 10'. First signsof block cracking. Slight to moderate flushing or polishing. Occasional patching in good condition. Shows signs of aging. Sound structural condition. Could extend life with sealcoat. Fair Moderate to severe raveling (loss of fine and coarse aggregate). Longitudinal and transverse cracks (open 1/2") show first signs of slight raveling and secondary cracks. First signs of longitudinal cracks near pavement edge. Block cracking up to 50% of surface. Extensive to severe flushing or polishing. Some patching or edge wedging in good condition. Surface aging. Sound structural condition. Needs sealcoat or thin non-structural overlay (less than 2"). Fair Severe surface raveling. Multiple longitudinal and transverse cracking with slight raveling. Longitudinal cracking in wheel path. Block cracking (over 50% of surface). Patching in fair condition. Slight rutting or distortions (1/2" deep or less). Significant aging and first signs of need for strengthening. Would benefit from a structural overlay (2" or more). Poor Closely spaced longitudinal and transverse cracks often showing raveling and crack erosion. Severe block cracking. Some alligator cracking (less than 25% of surface). Patches in fair to poor condition. Moderate rutting or distortion (1" to 2" deep). Occasional potholes. Needs patching and repair prior to major overlay. Milling and removal of deterioration extends the life of overlay. Very Poor Alligator cracking (over 25% of surface). Severe distortion (over 2" deep). Extensive patching in poor condition. Potholes. Severe deterioration. Needs reconstruction with extensive base repair. 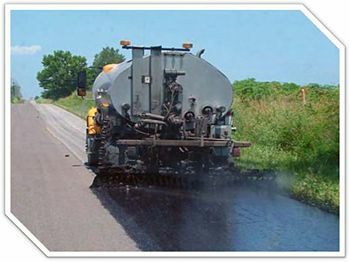 Pulverization of old pavement is effective. Failed Severe distress with extreme loss of surface integrity. Failed. Needs total reconstruction. 1 Individual pavements will not have all of the types of distress listed for any particular rating. They may have only one or two types. 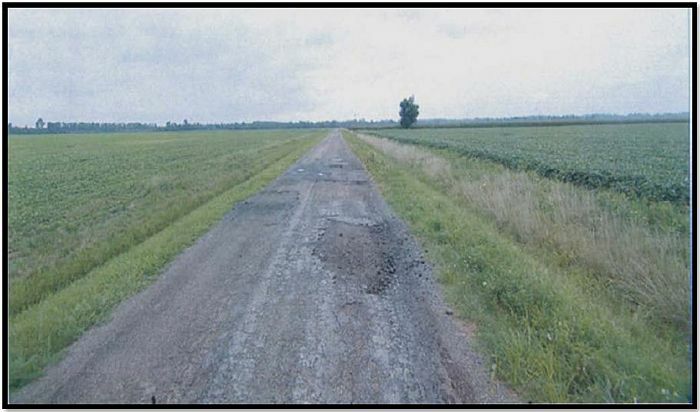 PASER ratings of 1 or 2, as illustrated below, may lead a district to keep these routes free from large ruts or potholes. There may not be enough resources to bring routes like these up to good condition. PASER ratings of 3 through 5 may lead a district to use a more substantial treatment such as placing 1” – 2 ¾” of asphalt to bring the PASER rating of the roadway to good and achieve a smooth ride with an IRI less than 140. 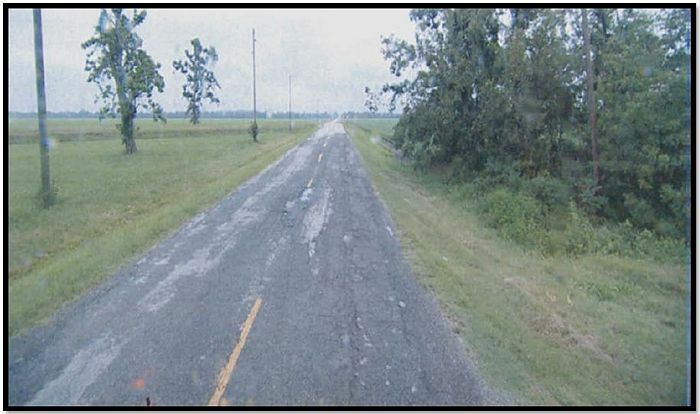 If the PASER ratings are greater than 6, the district may elect to use a preventative maintenance treatment such as a UBAWS or a chip seal in order to keep the roadway in good condition. Using initial pavement condition data to guide the selection process is a best practice that gets positive results. 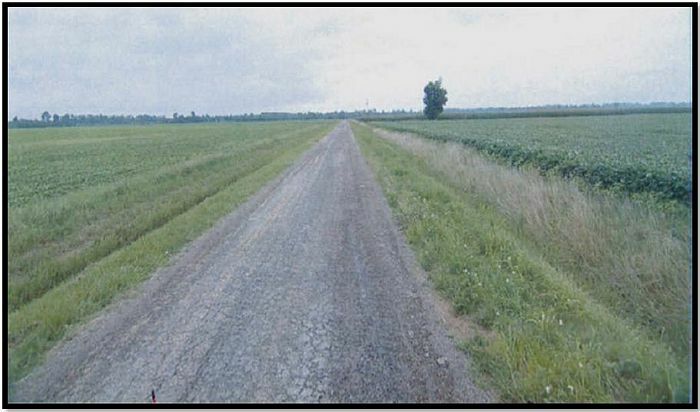 The chart below combines the Pavement Treatment Selection Matrix with the general initial condition of the roadway. The chart is simply a starting point and is meant to supplement the Pavement Treatment Selection Matrix. 1 ¾” AC Overlay Alt. Bid Rehab/Constr. Chip Seal only if ADT < 2,500 Alt. Bid Rehab/Constr. The figures below are simply estimates of costs and life expectancy based on the different types of pavement maintenance. 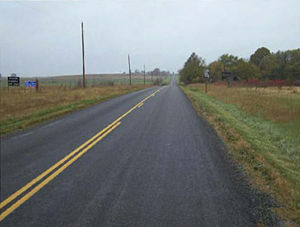 Analysis of the roadway should be completed to determine the correct treatment is being applied to the correct road at the correct time. Cost assessments are based on dollars per lane mile. Use pup trailers, live bottom trailers and belly dump trailers for bulk hauling. Contracted hauling should also be considered, if available and cost effective. Consider speed reductions (suggested warning placard or speed limit sign) during chip seal operations to limit liability claims. A pilot truck should also be used. Complete all drainage and pipe replacement at least one year prior to pavement treatment to allow soil to settle. Fly coat/fog seal chip seal projects completed with limestone in order to extend the life of the pavement treatment and increase customer satisfaction. Use a adjustable width or infinite material feed control chip spreader to increase efficiency and quality while also limiting waste. Identify all fleet needs (trucks, distributors, rollers, brooms, etc.) that will be used for chip seal projects at the pre-season meeting in order to ensure availability. Calibrate all equipment at the beginning of the maintenance season, and recalibrate periodically throughout the season. Material use varies greatly depending on geographical location and supply changes. MoDOT personnel should keep an open mind on what materials are used. Transporting of materials is a major factor in what should be done. As fuel prices fluctuate, MoDOT staff should continue to review and analyze all options (rail, contract trucking, MoDOT trucking, barge, etc.) for transporting materials. The best materials this year may not be the best next year. Each formulation of materials for each process should be carefully calculated to optimize the use of funds. Use a design method similar to that used in Chip Seal Reference Book. CRS2P oil should be used for continuous chip seal operations. Elimination of the need for fly coating/fog sealing, where required. Use clean, washed, quality aggregate to produce the highest quality chip seals. Refer to EPG 170 Maintenance Planning Guidelines for all types (R312, for permanent). 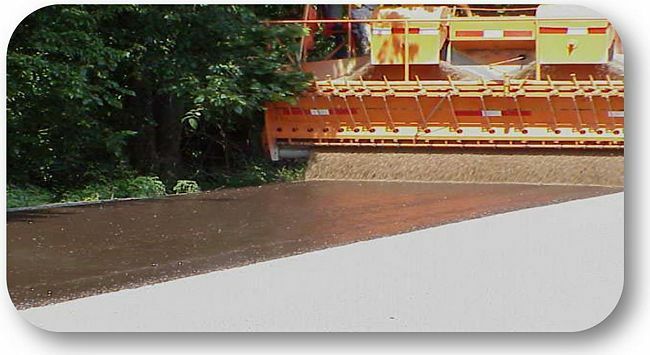 Use milling machine for a smooth patch for select locations on major roads. Use a hot box when using hot mix or cold mix to keep the material hot for better workability and a quality patch. Fly coat/fog seals should be applied to cold mix routes to extend the life of the pavement treatment substantially nd increase customer satisfaction. Blot as needed with appropriate fine aggregate material. •For low volume minor routes, a pull-behind roller (4-5 ton minimum) may be used. Use a pull paver or rented self-propelled paver to lay hot mix and sometimes cold mix. Lay larger sections of cold mix using a motor grader or pull paver. Motor grader operations should be reserved for experienced operators. Use road millings as a coarse aggregate, if available. Allow the use of hot mix in lieu of cold mix for patching cold mix routes when hot mix is cheaper. EA150, EA300, CRS2 or SS1 oil should be used as tack for asphalt pavement repairs or partial overlay projects. EA150 and EA300 should be used for premix. Use either ½" fine premix or 1" coarse premix for cold mix asphalt overlay projects. Use the HRED “Concrete Replacement” publication (2006). Refer to EPG 170 Maintenance Planning Guidelines. Dedicate concrete replacement crews to do all concrete repairs in the district/area. Establish self-contained trailers for pavement repair. Use appropriate personal protective equipment (PPE) and engineering controls, as needed. Use “Wet Concrete” signs to inform the traveling public when concrete is curing and no workers present in a work zone. Calibrate all equipment at the beginning of the maintenance season, and recalibrate periodically throughout the season, as needed. Concrete must reach a minimum strength requirement – according to specification – before route is reopened to traffic. This preventive treatment should be limited to cold-mix roads or shoulders on Hot-Mix Asphalt (HMA) roads. Do not apply fog seals to HMA driving surfaces due to concerns related to altering the frictional properties of the pavement. Multiple light applications perform better than one heavy application. It is recommended to calibrate each distributor at the beginning of each season and recalibrate as necessary. Traffic control measures should be considered, including the use of a pilot vehicle. Slow setting asphalt, such as SS1, SS1H, CSS1, and CSS1H are appropriate for fly coating/fog sealing. If a faster set time is desired, CSQ1F is specifically designed to be a faster setting asphalt emulsion and is ideal for fog-sealing with time constraints. Application rates are typically in the range of 0.08 to 0.15 gallons per square yard (diluted). Use of a hot box when using hot mix or cold mix keeps the material hot for better workability and a quality patch. Utilize a backpack blower in lieu of an air compressor or broom to clean debris from the roadway for small patching locations. Area being repaired should be squared for a quality patch. Use a flat plate compactor or steel drum roller to finish patch. Use quality grade hot or cold mix asphalt. Tacking the hole improves the effectiveness of the repair. Arrange district-wide, pre-season meetings prior to the start of the chip seal operations each year to discuss the details of the jobs that will be completed during the year. Organize pre-job meetings to discuss the details of specific jobs. Share leased equipment between districts with similar needs to share expenses. Collaborate with district Community Relations personnel to create public information pieces to inform our customers on work to be completed. Examples of successful public relations pieces are news releases, brochures/maps, and messages displayed on CMS boards. Use a pilot car if the road is not completely closed. Fully use staff by crossing areas, and possibly district boundaries for more effective, efficient operations on larger jobs. Dedicate experienced operators for chip spreader, distributor truck, and rollers with trained back-up(s). Ensure an equipment technician (mechanic) is on-site to quickly address any break downs. 1. 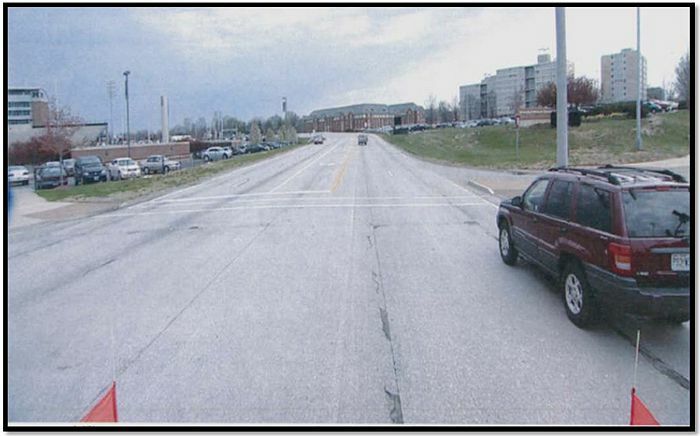 Why is MoDOT putting more emphasis into pavement maintenance? Pavement condition is the number one factor associated with customer satisfaction. 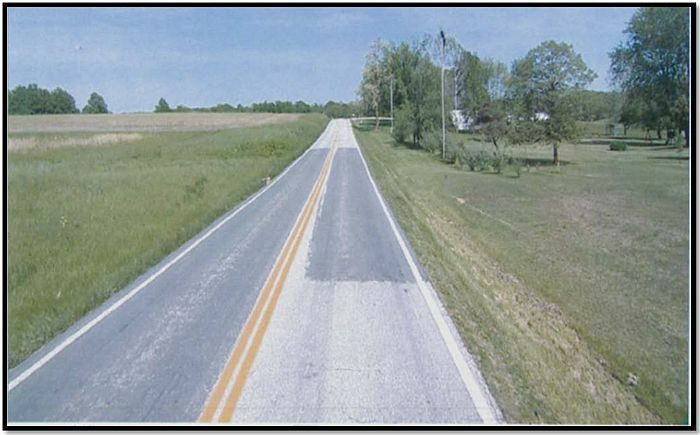 As part of the Five-Year Direction, MoDOT is focusing on keeping our good roads good and improving the condition of our minor roads. With limited funds the Department will focus on maintaining the condition of the system rather than expanding it. Pavement preservation has always been a priority of the department. MoDOT’s goal is to continue to have 85 percent of the majors in good condition and improve the condition of minor roads. 2. Where will the additional resources come from? Efficiencies in other areas of operations will be redirected to achieving the Five-Year Direction. Initially these resources will be directed to minor road pavements. The overall effort of Practical Operations will result in cost efficiencies in mowing, signing, striping, personal services, fleet, and winter operations. Pavement maintenance will be the first priority when setting district budgets. 3. How will the work be performed? Pavement maintenance work will be managed with a coordinated effort of in-house personnel and contract work. 4. Why are we putting on thinner treatments? The Smooth Road Initiative (SRI) proved thinner, cost-effective treatments can improve larger portions of the statewide system. Additionally, MoDOT is looking to shorter-term solutions to improve more miles keeping our overall system in the best condition possible. 5. What if an area wants to do a different treatment not identified on the pavement maintenance matrix? The matrix is just a guideline; however, you should discuss exceptions with a Central Office pavement team member and district management. Organizational Results should also be made aware of the project in order to properly track the results. 6. Why did we change the rating criteria on minor roads? The new rating system provides a more realistic/fair method to evaluate the condition of our minor roads. This means that the driving surface will be the primary focus of our efforts. In order, the priorities of our operational efforts will be pavement, stripes, signs, followed by mowing. 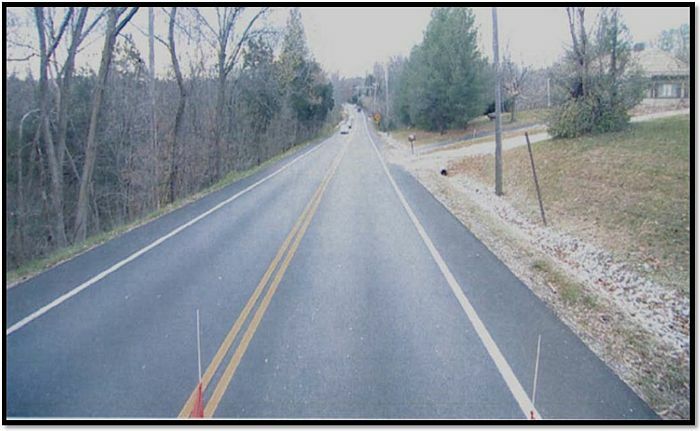 The purpose for the centerline-out philosophy is to ensure that MoDOT is maintaining the condition of our roads and our customer satisfaction. 8. Who is going to ensure everyone is doing the same thing? A quality assurance plan has been developed to ensure consistency of effort by each district. It is every employee’s responsibility to make certain that overall quality is consistently pursued. 9. Why are we using the Pavement Management Tool? The tool allows us to better optimize our resources, forecast future pavement condition and projects, and provides a thorough database of treatments that are currently on the road. 10. Why are we working on pavement that is already in good condition when we have roads that are poor? It is more cost effective to keep good roads in good condition rather than rehabilitate bad roads. MoDOT will continue to keep all roads safe and passable. 11. Where does drainage fit into the maintenance plan? Good drainage is a key to long pavement life, and should be considered when analyzing treatment options. 12. Should we crack seal/joint seal? When applied at the right time, crack sealing is a cost effective method to extending pavement life. Use professional looking joint and crack sealing as a pavement preservation strategy. 13. Why is MoDOT changing my road from hot mix to cold mix? 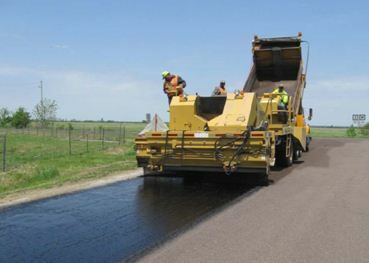 In general, hot mix asphalt has limited availability and is more expensive than cold mix asphalt. 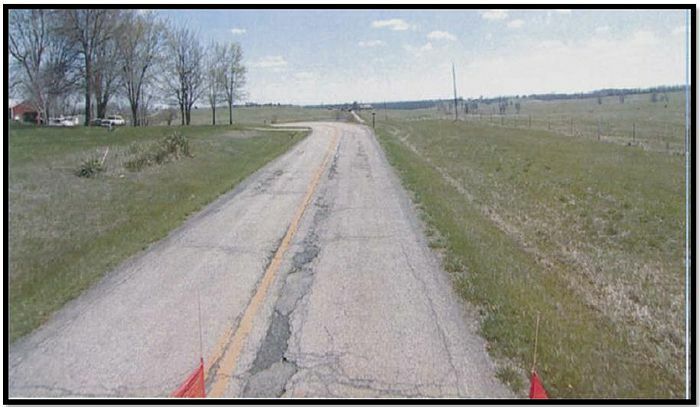 MoDOT is focused on trying to keep as many miles of road in good condition as possible with its limited resources. If hot mix applications can be done for the same price as cold mix, MoDOT will consider hot mix. In order for the changes discussed in the preceding pages to be successful, a clear plan of implementation and guidance must be established. As previously mentioned, these revisions will be implemented on January 1, 2011. Perhaps the most important step in implementation of these changes will be the education of key personnel. Training of all affected employees will be completed by May 1, 2011, and will include each of the aspects included in this manual. Operations and district Community Relations staff members will provide information to educate MoDOT staff on the key changes to the operations that will impact them directly. The information will include how to respond to questions about the new policies. The public will be informed of the new pavement maintenance focused operations plan. Outreach efforts will take place with key audiences including the Missouri State Highway Patrol, local law enforcement, and elected officials. All district customer service representatives will be provided with information on how to respond to customer inquiries about pavement maintenance operations. The message will focus on the need to preserve the state transportation system. Ultimately, the purpose of the Five-Year Direction is to maintain customer satisfaction with a declining construction program. In order to accomplish this, MoDOT is significantly changing its direction and implementing cost-saving strategies. Over the duration of the Five-Year Direction, the targeted strategies will result in over $200 million being redirected specifically for the purpose of keeping major roads in good condition, improving minor roads and holding existing condition on bridges. This page was last modified on 6 February 2014, at 11:29.